Winner Winner! Twisted Turkey Dinner! 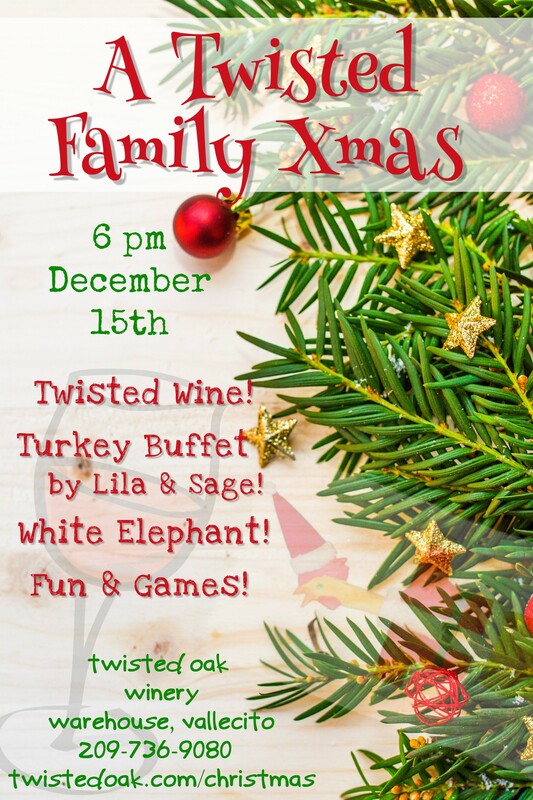 Come and spend an evening with us, featuring a delicious turkey dinner whipped up by Lila & Sage, perfectly matched with yummy Twisted wines, all mixed in with some Twisted Fun & Games, including a family-style Twisted White Elephant gift exchange.